Over the past week, the Nevada desert became the annual artistic wonderland known as Burning Man, where nearly 66,000 people participated in a festival of flames, neon, and creative enlightenment. Wrapping up on Labor Day, the event certainly saw summer out with a bang. From ephemeral sculpture and ethereal style to breathtaking views of the burnings and even some celebrity sightings (we see you Derek Blasberg and Candice Swanepoel! 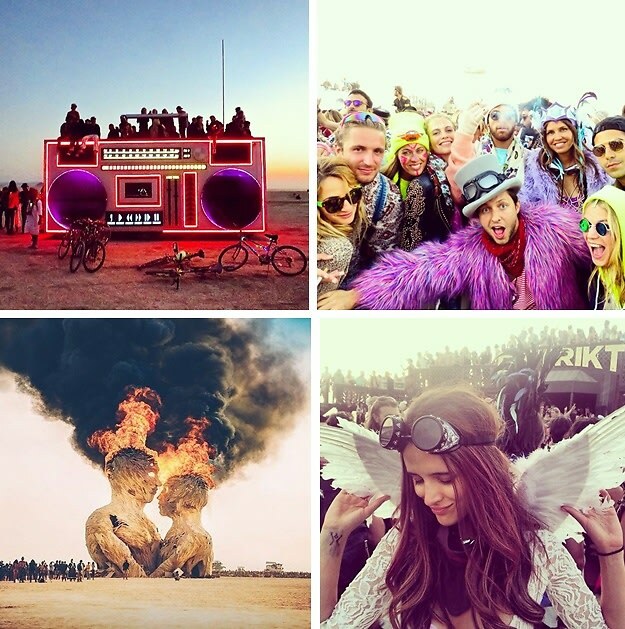 ), click through for the best Insta snaps of Burning Man 2014.